In the year since Nepal suffered two devastating earthquakes, civil society, Unesco and different wings of government have come together to help preserve, and restore, damaged heritage structures. It’s estimated that 31 of Nepal’s 75 districts were affected—14 of them, including Kathmandu valley, severely—in the 25 April and 12 May 2015 quakes that killed around 9,000 people and destroyed more than 500,000 homes. As many as 2,900 cultural and heritage structures were affected too, with damage estimated at $169 million (around ₹ 1,132 crore now), according to a June 2015 report by the country’s National Planning Commission. 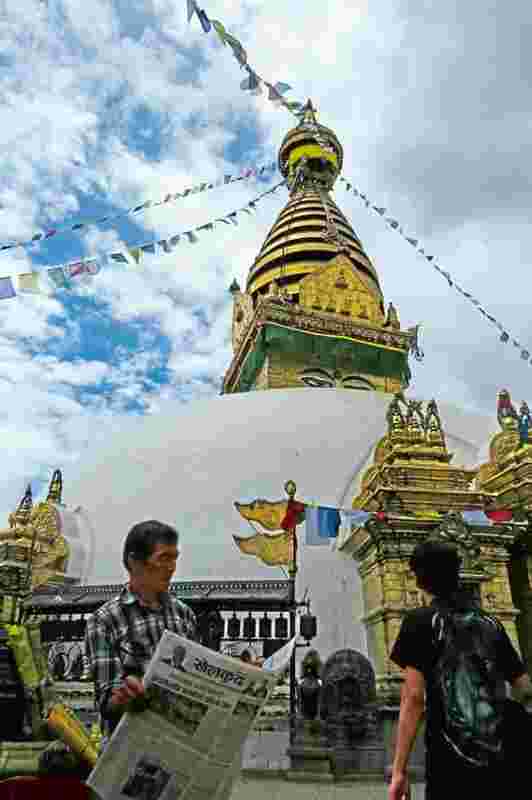 “Major monuments in Kathmandu’s seven World Heritage Monument Zones were severely damaged and many collapsed completely," the report said. The zones comprise the Durbar Squares of Hanumandhoka (Kathmandu), Patan and Bhaktapur; the Buddhist stupas of Swayambhu and Boudhanath; and the Hindu temples of Pashupatinath and Changu Narayan. The revenue loss from ticket sales for the first year alone was estimated at $6 million, the report said. “It was the people who first came to the rescue of their heritage sites," says Kai Weise, a conservation architect. He traces this spontaneous reaction to Kathmandu valley’s ancient Guthi system of local kinship organization, which was responsible for the upkeep of community-owned monuments. Clearly, a sense of responsibility remains. During more uneventful times, organizations like the Kathmandu Valley Preservation Trust (KVPT) have been working in tandem with the archaeological department—in the KVPT’s case, since 1991. The tremors took a toll on the Patan Durbar Square, which has been under the KVPT’s care—six monuments suffered major damage. The first step, says KVPT Nepal programme director Rohit Ranjitkar, was to salvage what they could, and store it properly. Some portions where restoration work had started before the earthquakes had been documented completely, so work on these could begin immediately. Like Patan Durbar Square’s Sundari Chowk, an architectural and sculptural masterpiece that was under restoration when the earthquake knocked off the first floor of its eastern wing. Care has been taken to maintain authenticity during the restoration, while also strengthening the structures against future seismic shocks. The restoration of the first set of buildings at this site—the Taleju Temple Tower and Sundari Chowk—is slated to be completed by the end of the year; work on others has just started, while yet others are still in the planning phase. The main stupa and the associated buildings of Swayambhu too suffered extensive damage. The shikhar of the Anantapur Temple in this complex fell and the stupa itself suffered cracks. This posed a challenge of sorts: Since Swayambhu is frequented by a large number of fairly bold and inquisitive monkeys, the material used to fill the cracks had to be monkey-proof. At the Hanumandhoka Durbar Square, the Panchamukhi Hanuman Temple and the south wing of the Malla Residential Palace were already slotted for restoration, so the documentation was complete, says documentarian Alok Tuladhar. The Panchamukhi Hanuman Temple is an outstanding structure with five concentric circular roofs, each ascending storey being of diminishing diameter. The earthquakes brought down its top storeys. 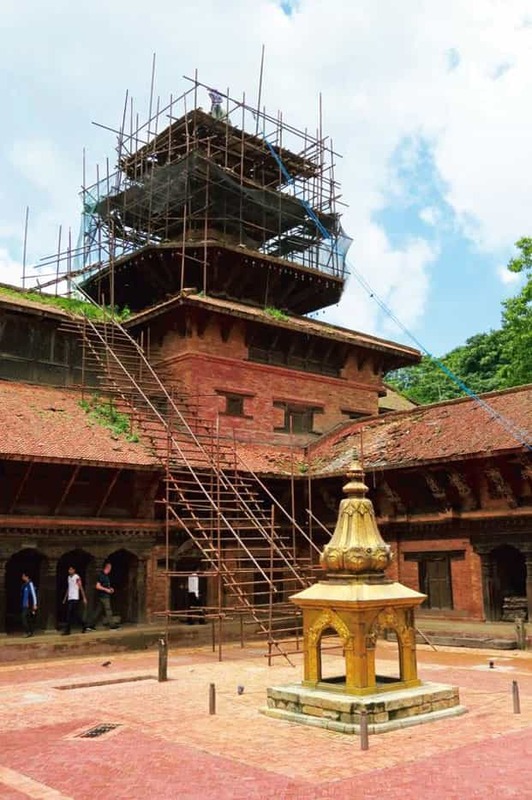 Restoration work, recently completed, was undertaken on priority by the Hanumandhoka Palace Museum Development Committee and Nepal’s ministry of culture, tourism and civil aviation, with support from the US ambassador’s fund for cultural preservation. A lot, of course, remains to be done. One of the structures on which work is yet to begin is the Kasthamandap, considered a foundational structure of Kathmandu. Here too, some individuals are trying to help in their own way. A July 2015 report on Nepalitimes.com described how a Nepalese settled in the US, for instance, had collected and published information on the Kasthamandap, which had collapsed completely, in an attempt to facilitate the reconstruction process. The disasters, then, seem to have actually given a fillip to conservation. For it is in the loss of their heritage that the government, communities, civil society and expert groups are appreciating the foundational role heritage plays. The 1627 Vishveshvara temple has been shored up. Shoring is typically done to prevent unnecessary demolition, permitting assessments to determine repair methods. Here, reinforcement of the structure is being prioritized over dismantling. The earthquake knocked off the entire first floor of the eastern wing of Sundari Chowk. Restorers are trying to stay as close to the original as possible, while strengthening it against seismic shocks. Rohit Ranjitkar showing the priceless timber and metal elements that were salvaged from the debris. Based on earlier documentation, and with the help of craftspeople, the pieces are being studied, sorted, repaired and reconstituted. The main stupa at Swayambhu suffered many cracks. Restoration work on the Taleju Temple Tower is nearly complete. Peeyush Sekhsaria is an architect and geographer who works as an independent consultant in disaster management and natural resource management.